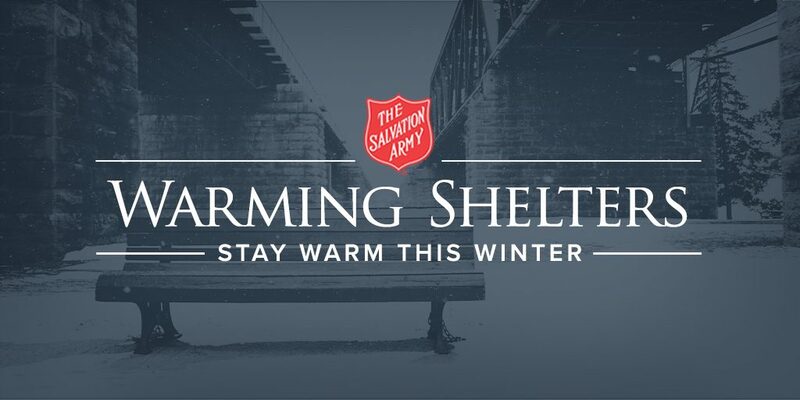 Did you know that ANYTIME temperatures dip below 40 degrees, The Salvation Army of Coastal Alabama opens our doors as an emergency shelter? In addition to the 28 beds that we use for the homeless every night, we will put out cots and take anyone in need of a safe, warm place to sleep. Everyone is served dinner and a hot breakfast the next morning. When there is extreme cold weather, we open as a 24-hour emergency shelter – providing breakfast, lunch and dinner, as well as coffee and water during the day. Our shelter is located at 1009 Dauphin Street, Mobile, AL 36604. Monetary donations are the best way to help us provide these lifesaving services. They help us keep our lights on and the heat running! We can also buy in bulk and with a non-profit discount that helps stretch every dollar. If anyone would like to donate items, you can bring them to the Dauphin Street location. We could use hot chocolate, coffee, water and food to help us feed the extra meals. Donations of blankets and warm clothing will be given directly to those in need on emergency shelter nights.